I did not write as much as I wanted to in 2015, probably because I was too busy eating my way around the state, especially Metro Detroit. Here are a few of my favorite restaurants and foods that I experienced for the first time in 2015. Ann Arbor's Frita Batidos serves Cuban street food, and is a new favorite of mine in Ann Arbor. Their fritas are creative variations of the traditional burger while the batidos are tropical-flavored milkshakes. For more, read my review from January 2015. I've been back a few times since, and it is still excellent. 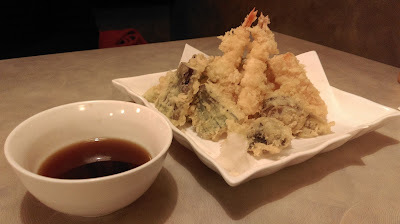 One of my favorite finds this year is a couple of Japanese restaurants in an unassuming strip mall in West Bloomfield. Kitchen Hanzo and Sharaku have the same owners but deliver different food and experiences. During my first visit to Kitchen Hanzo, our waiter described the food as traditional Japanese pub food, but do not expect burgers and fries. 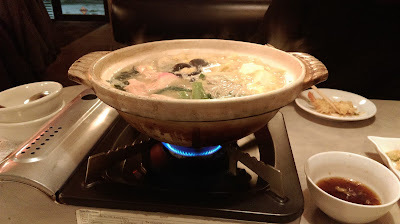 Instead, the long menu lists a lot of smaller dishes that can be shared, as well giant hot pots filled with seafood. Everything is delicious, and the hot pots are especially appealing on a cold winter day. Sharaku is Hanzo's more upscale sibling. They have a menu with traditional Japanese main courses, but I only tried several rounds of sushi the one time I visited. 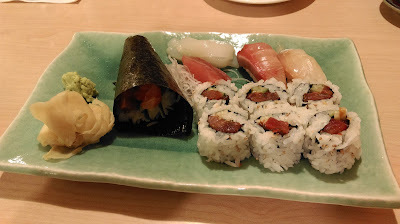 The sushi is outstanding, and I definitely want to visit again. Saffron Indian Cuisine in Farmington Hills is right around the corner from my work, and I often pick it up on the way home on Friday evening. I have not had a dish I did not like. Some of my favorites are the Vindaloo, Rogan Josh, Jalfrazie, and Palak Panner. 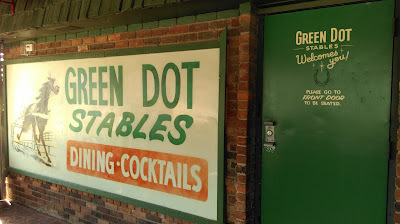 Green Dot Stables is one of those places that everyone insisted I try. I finally visited this past spring. Their sliders menu has something for just about everyone, including vegetarian options, at cheap prices. They even serve a Korean slider with kimchi and peanut butter that I loved. After devouring several sliders, I understood why people rave about this place. Mr. Kabob is Middle Eastern restaurant in a gas station that lives up to the hype. Don't be a snob. Try this Berkley restaurant. The chicken shawarma is divine. They also opened a Troy location, but visit the original at least once. I just wrote about Mudgie's Deli and Wright & Company, so all I will say is that these two vastly different Detroit restaurants are both amazing at what they do and that I highly recommend both to anyone who visits Detroit. Mercury Burger Bar is one of Corktown's many great restaurants. 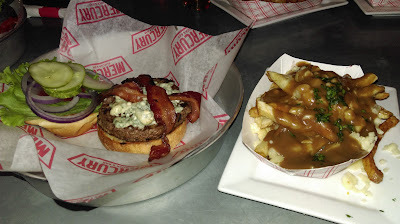 The Blue Apple burger (blue cheese, applewood bacon, and fresh ground pepper) and poutine that I tried were both phenomenal. 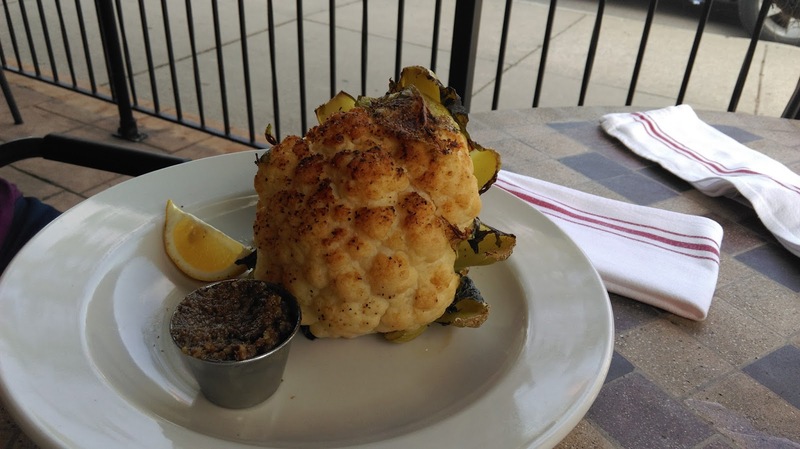 Berkley might have more excellent restaurants per square mile than any city in Michigan. To be a great food town, top-notch pizza is a necessity. 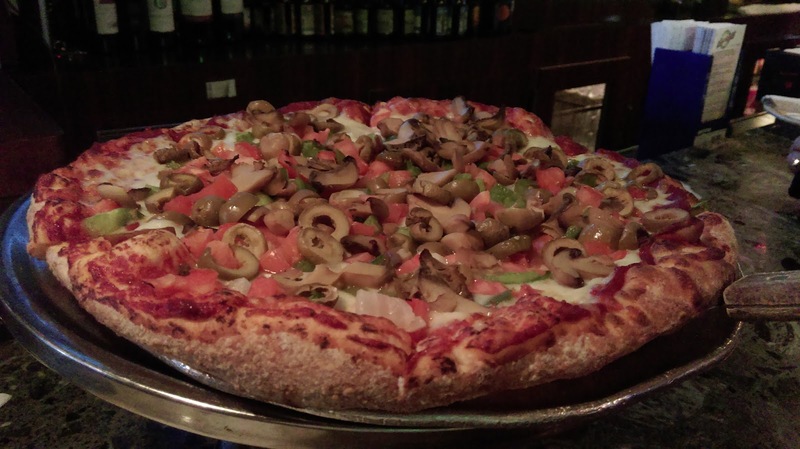 Amici's Pizza ensures that Berkley is a first-rate dining destination. My love affair with Berkley is almost over, but I have to mention Republica. This Berkley restaurant serves a tasty variety of dishes along with a good selection of craft beer. Their roasted cauliflower was a surprisingly good appetizer. My last word on Berkley is Vinsetta Garage. It is one of my favorite restaurants in Metro Detroit. 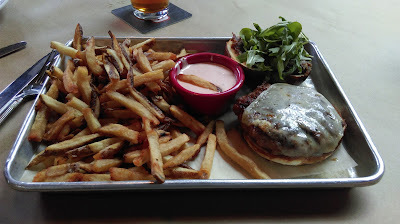 Even though I did not discover Vinsetta in 2015, I did discover their duck burger in 2015. I took a risk and tried the duck burger a few weeks ago. I love their regular burgers, but the duck burger might be my new favorite. Traverse City's Red Ginger serves dishes influenced by various Asian cuisines. I tried a few of their smaller plates on my food and drink tour of Traverse City and wish I lived closer so I could visit more often. Grand Marais is about as far away as you can get from the Mexican border, but Lake Superior Brewing Company makes some mean fish tacos. If you ever find yourself passing through, or near, Clare, stop at Cops & Doughnuts. You will not regret it (unless you are on a strict diet). 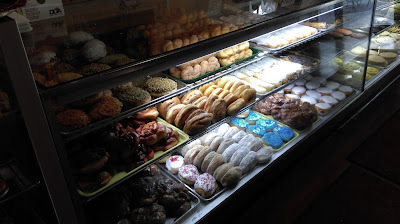 Their doughnuts are some of the best I've ever had. 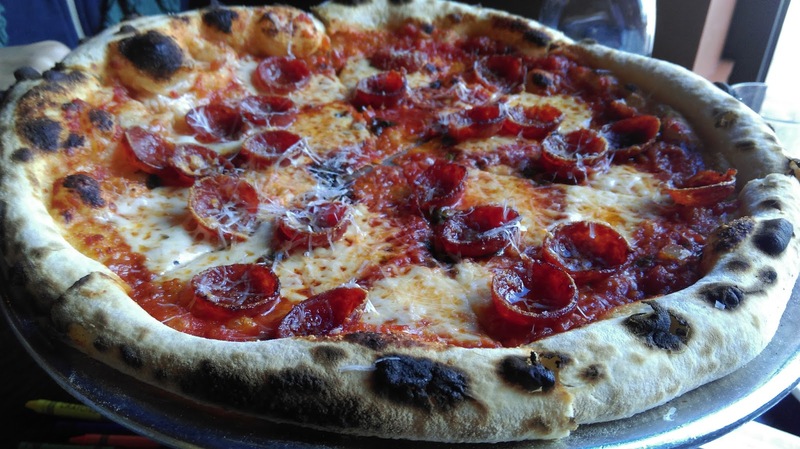 Ann Arbor's Mani Osteria makes a lot of "best of" lists for its pizza. 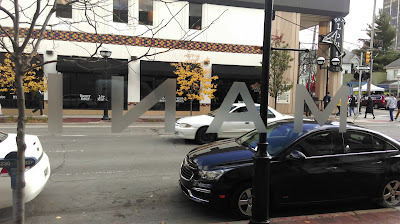 Those accolades are well deserved, but Mani Osteria makes other wonderful dishes. The salads are good, and I highly recommend the the pickled tomato vasi. 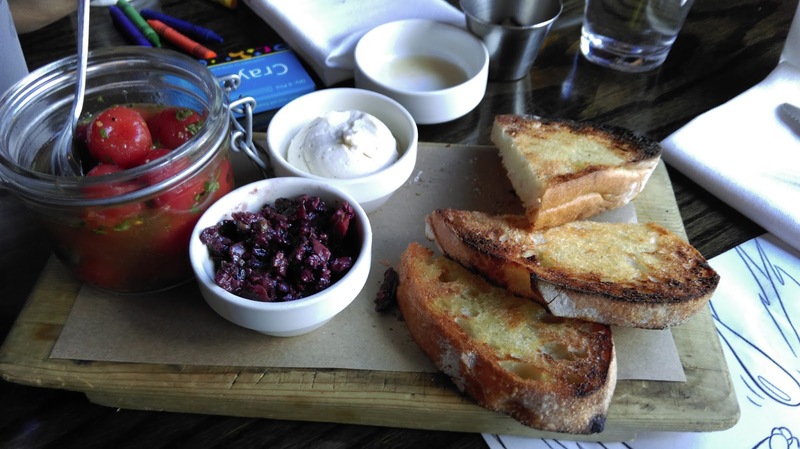 The vasi is similar to a build-your-own bruschetta, with delicious whipped ricotta and tapenade to spread over toasted bread. If the Upper Peninsula were a country, the pastie would be its national dish. I tried Muldoons Pasties based on the recommendation of a former resident of Munising. I am not an expert on pasties, but Muldoons pasties definitely satisfied me and made me want to attempt a pasty tour of the U.P. Birmingham's Toast is another new favorite in Oakland County. I first tried it for Mother's Day brunch. The wait was long, but the Eggs Benedict was worth the wait. They also have an excellent dinner menu and a small but cool bar with delicious cocktails. The Franklin was a stop on my Tour de Traverse City. The cheese and chartcuterie board was delicious, and they have an extensive wine list with several wines on tap, including local wines. 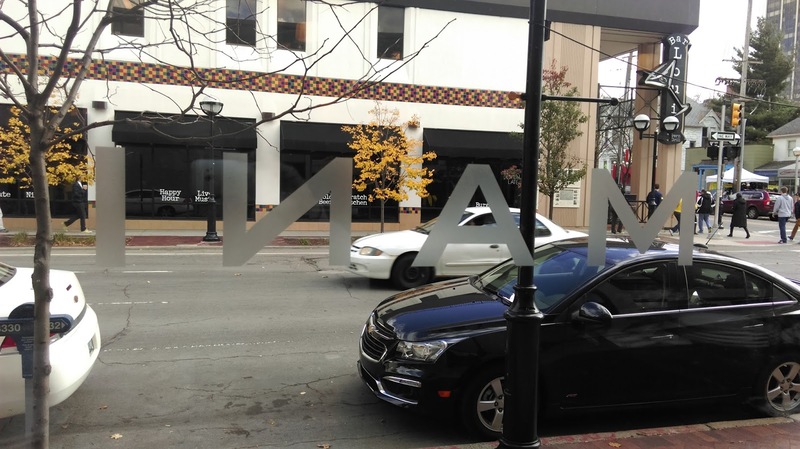 It's a great place to have a drink and meal while watching the downtown Traverse City pedestrians walk by. 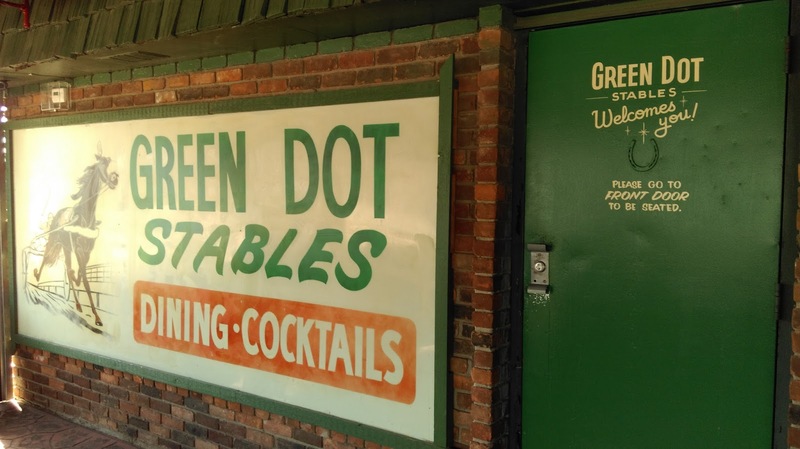 Green Lantern Pizzeria and Lounge in Madison Heights was one of my dad's favorite places to get pizza. I had not been back in couple of decades, so I was happy to find myself near there a few weeks ago at lunchtime. 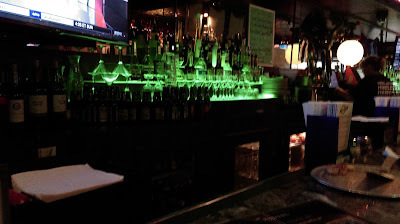 Green Lantern feels like a neighborhood pub inside, and I don't think it's changed much since I was last there. I ordered a pizza loaded with veggies. It tasted great. It tasted familiar. It tasted like home. 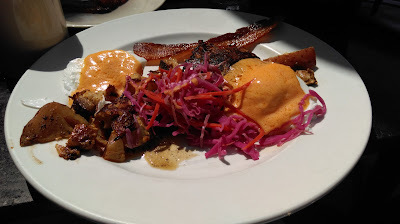 I'm looking forward to 2016 and am hoping to explore more of Michigan and its food.